Blastrac UK exhibited at The UK Concrete Show at NEC Birmingham 15 & 16 February, Europe’s largest specialist concrete event. 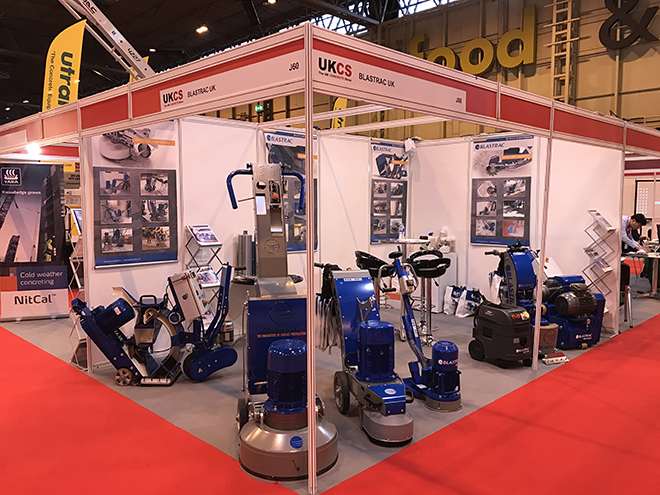 With over 200 exhibitors, master classes and live demos, it attracted over 6,000 attendees and proved a very successful show. We would like to thank everyone who came to our stand and look forward to seeing you next year.